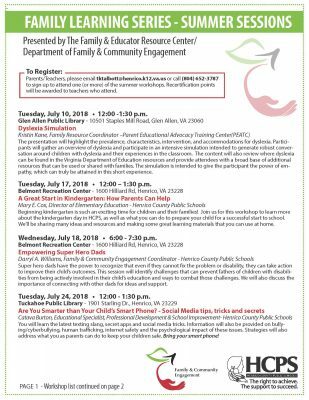 Family & Educator Resource Center – "Providing the tools to empower and soar!" 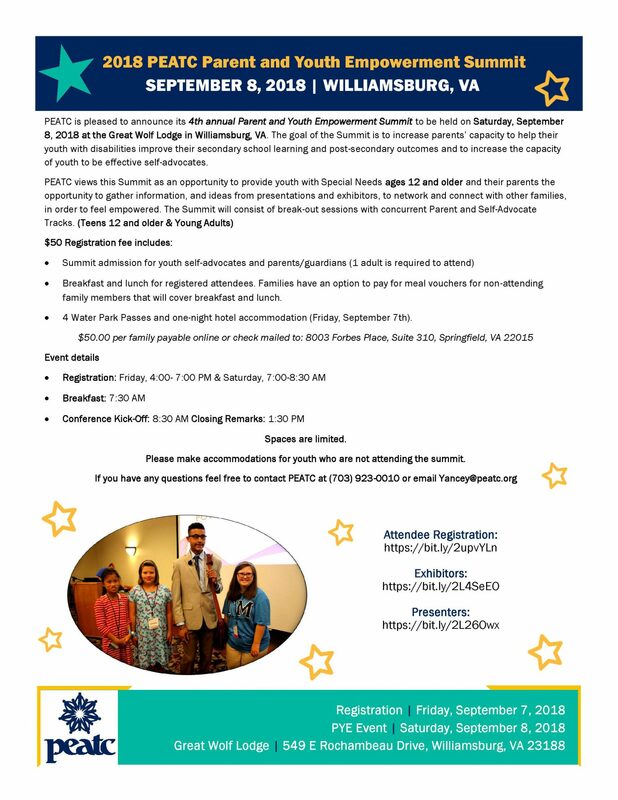 "Providing the tools to empower and soar!" 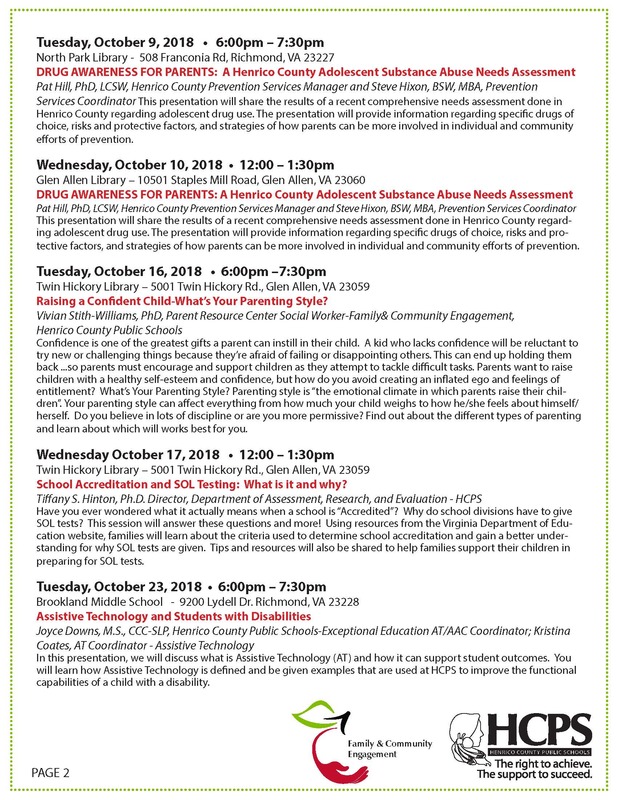 The Department of Family & Community Engagement kicked off the division’s fall edition of our Family Learning Series on Tuesday, Sep. 18 with a workshop on making the transition to middle school. 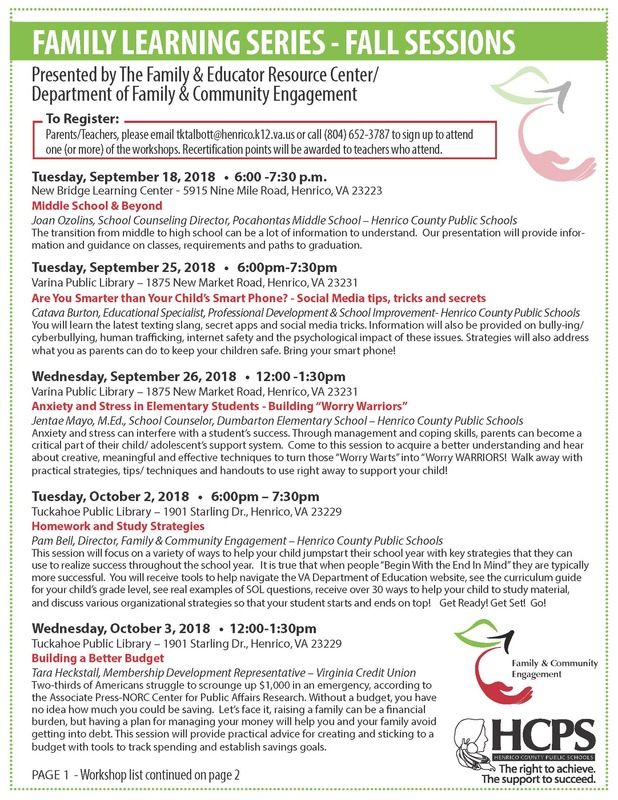 The series continues through Oct. 23 with topics such as homework and study strategies and raising confident children. Workshops are held at public libraries and school facilities across Henrico County. 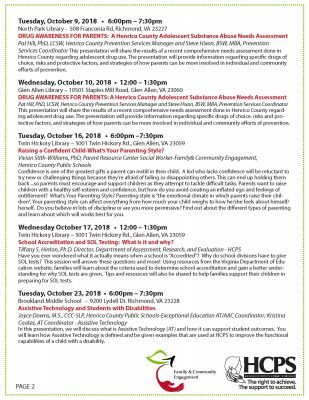 Register for workshops by emailing Terry Talbott at tktalbott@henrico.k12.va.us or by calling 804-652-3787. 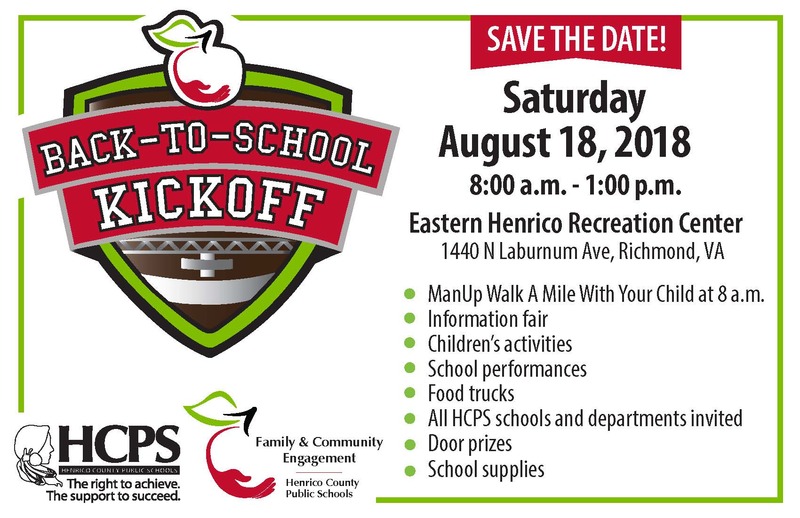 Parents, guardians and Henrico County Public Schools staff members are welcome to register. 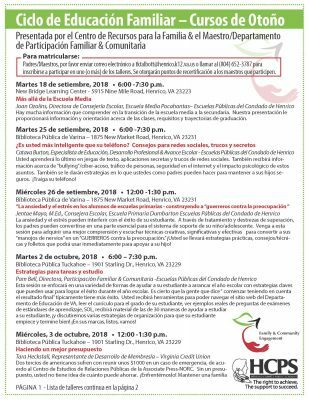 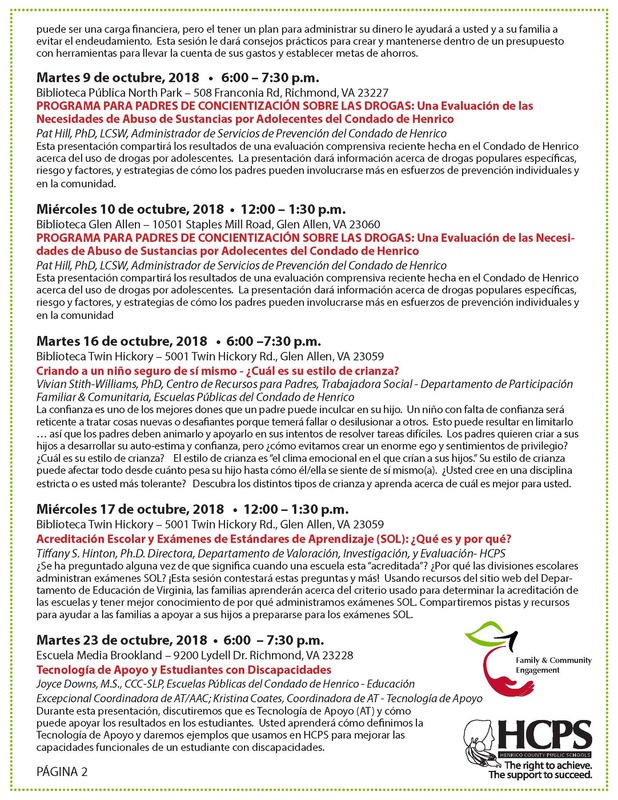 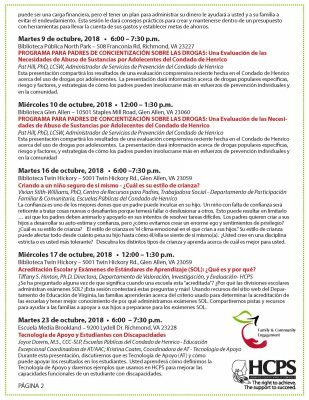 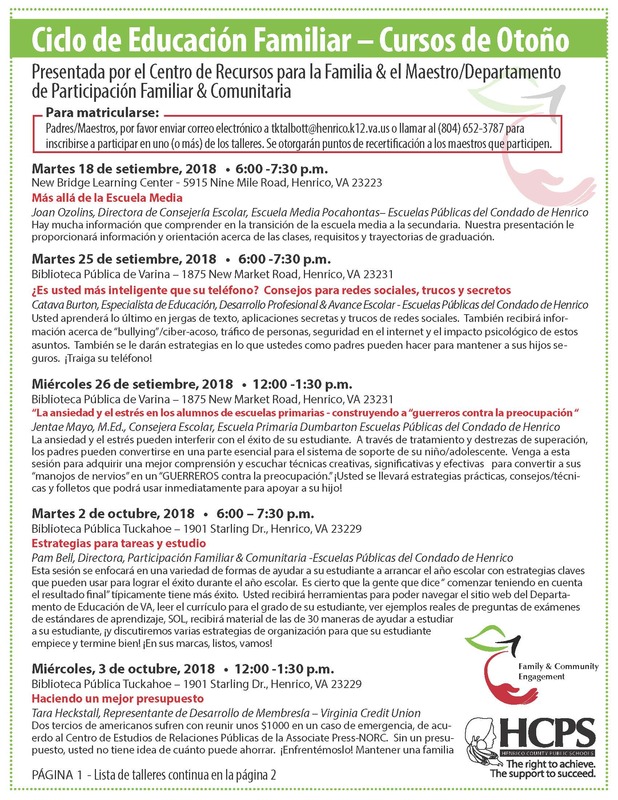 Re-certification points will be awarded to teachers who attend. 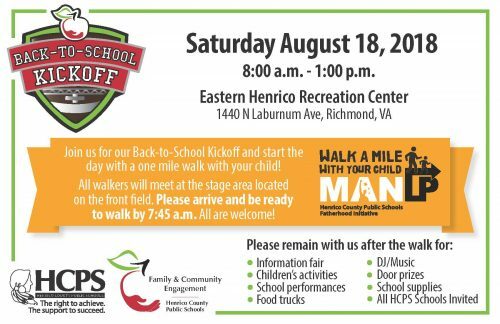 All Henrico schools and families are invited! PEATC is hosting its 4th annual Parent and Youth Empowerment Summit on 9/8/18 at Great Wolf Lodge in Williamsburg for families of children with disabilities. 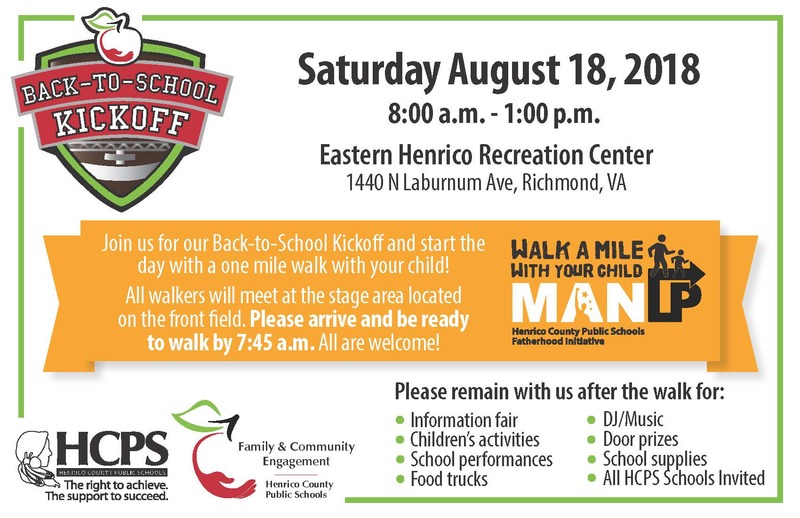 Check out the flyer for more information on how to register. 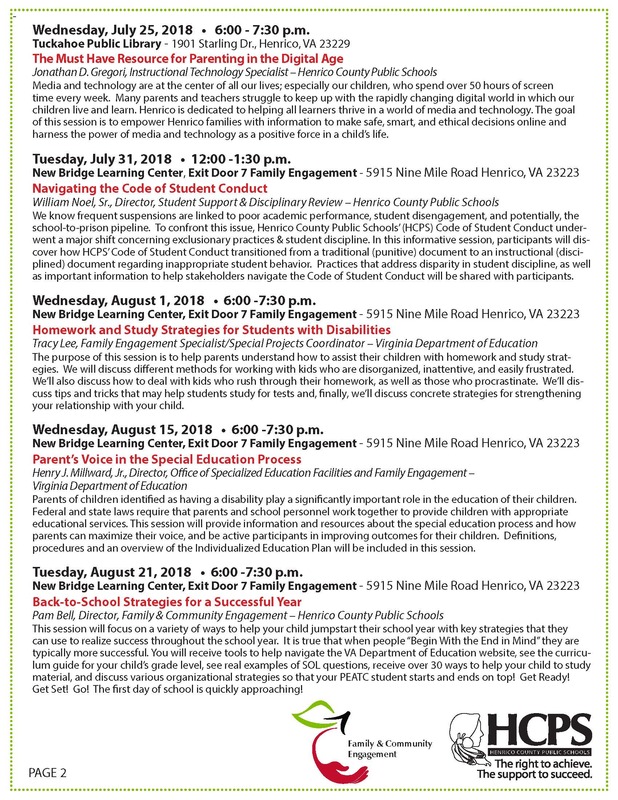 Tuesday, July 17, 2018 • 12:00 – 1:30 p.m.
Beginning kindergarten is such an exciting time for children and their families! 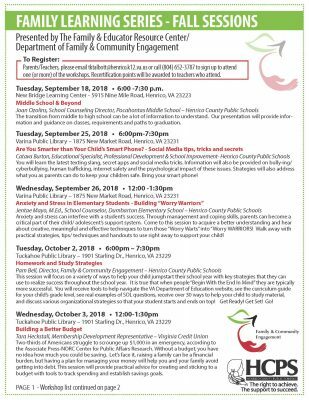 Join us for this workshop to learn more about the kindergarten day in HCPS, as well as what you can do to prepare your child for a successful start to school. 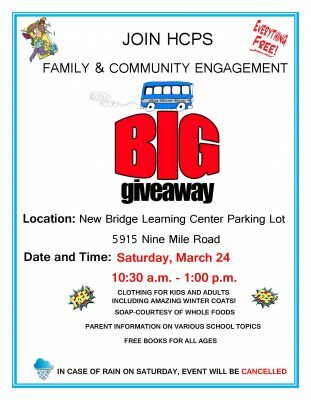 We’ll be sharing many ideas and resources and making some great learning materials that you can use at home. 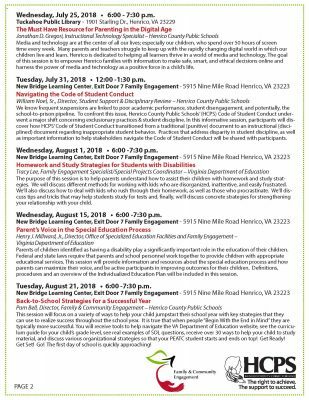 Wednesday, July 18, 2018 • 6:00 – 7:30 p.m.
Super hero dads have the power to recognize that even if they cannot fix the problem or disability, they can take action to improve their child’s outcomes. 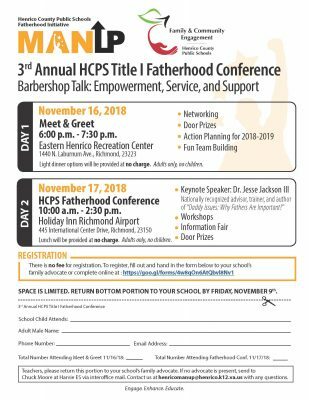 This session will identify challenges that can prevent fathers of children with disabilities from being actively involved in their child’s education and ways to combat those challenges. We will also discuss the importance of connecting with other dads for ideas and support. 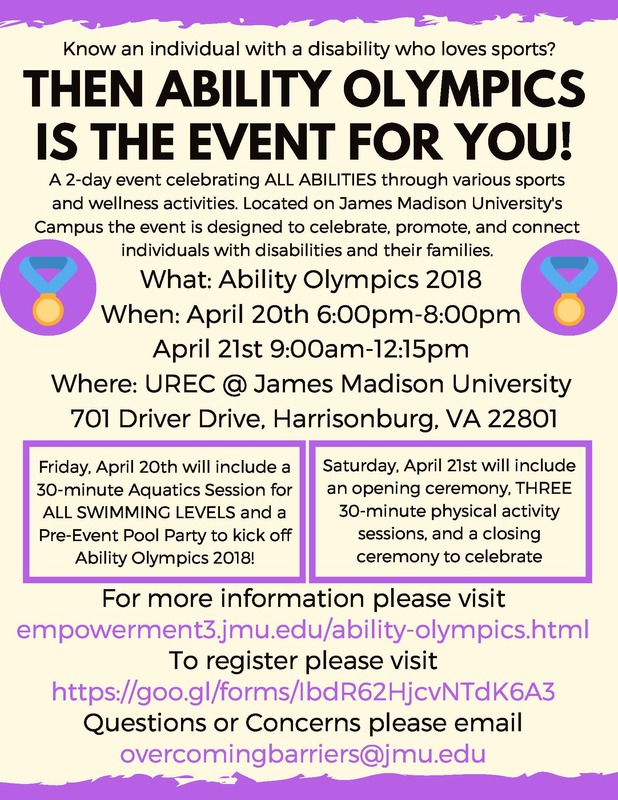 We are excited to share information about the 2018 Ability Olympics event hosted at JMU’s University Recreation Center, April 20th and 21st – See the attached flyer for details and registration information (https://docs.google.com/forms/d/e/1FAIpQLScrI6UDHXnnGAuQuEdkjGgNLMb8-3xgwuGjXy3fG9ZC9NaiDw/viewform?usp=sf_link). 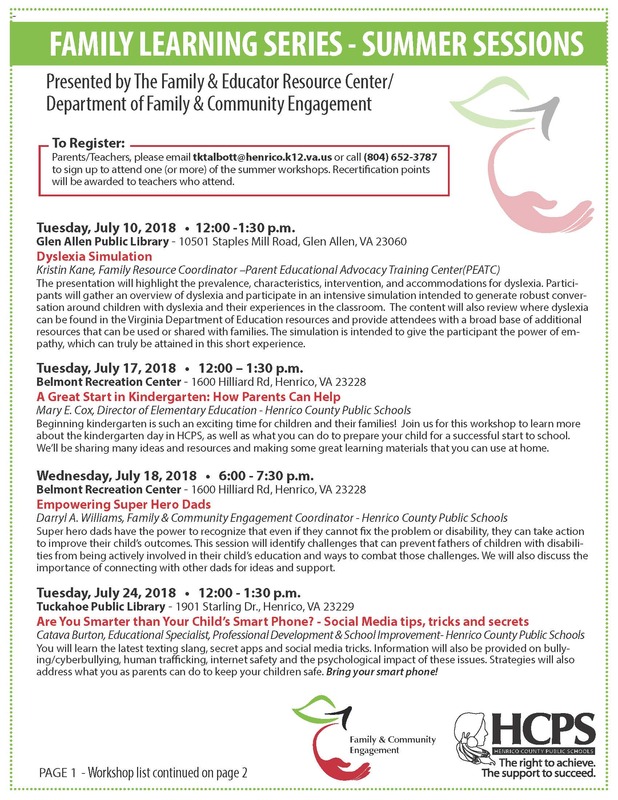 Ability Olympics is an inclusive event allowing participants of all ages and ability level to showcase his or her ability alongside friends or family members without disabilities. 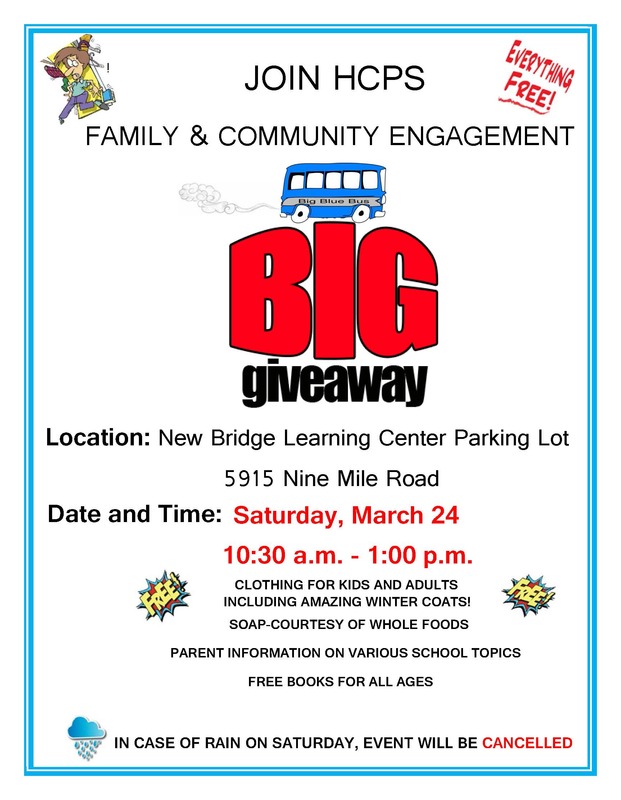 Our event is open to ages 2 – older adults; split into age appropriate groups. 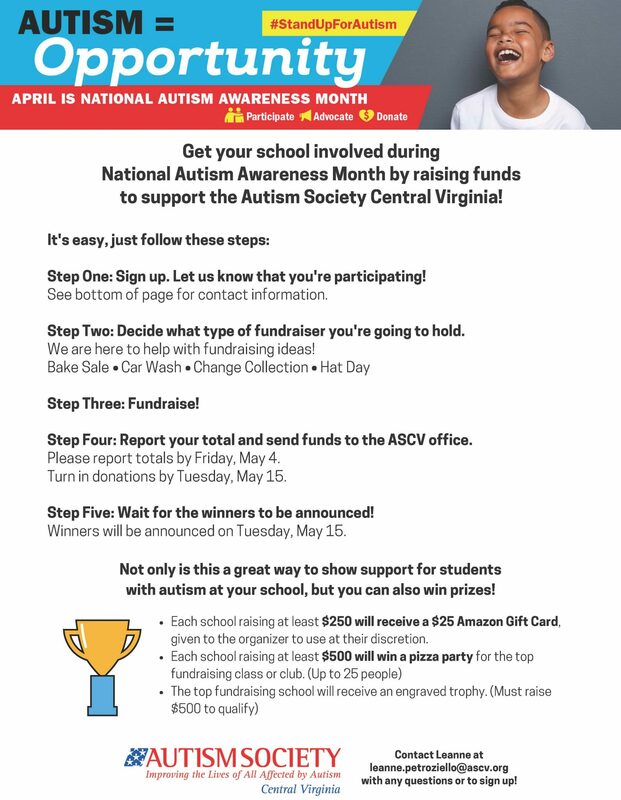 Each participant with a disability is encouraged to invite a peer or sibling to participate alongside him or her. 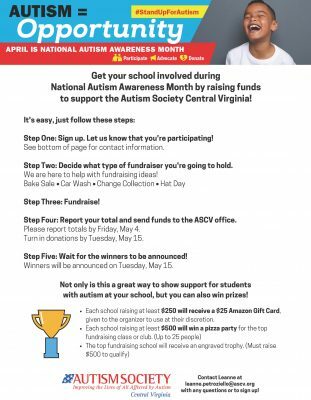 © 2019 Family & Educator Resource Center.